If you’re in need of some quick cash, one option to turn to is taking out a car title loan from a local title lender. Car title loans can be a great option for quick cash because you do not need to reveal your credit score or financial situation. All you need is the title to your car to use as collateral against the loan that you want. While car title loans may seem identical, there are certainly things to keep in mind and consider when you are choosing with local title loan to pursue. Before breaking down things to keep in mind, you should know exactly what car title loans are. Essentially, a local car title loan offers quick cash (typically somewhere between $100 and $5,000) in exchange for your vehicle’s title, or proof of ownership, as collateral. Car title loans are a type of secured loans, and many lenders can provide you with 24 hour title loans. That means that if you don’t pay back the lender within the repayment term, your lender is legally allowed to repossess your car. What makes a local car title loan an attractive option for those in need of quick cash is that they are relatively non-restrictive when it comes to people who are able to apply and qualify. Lenders typically do not check credit scores and don’t even necessarily require proof of income, proof of bank accounts, and more. All they require is that you can prove your equity in your car. On caveat is that the vast majority of car title loan institutions will require you to own your car outright. One other thing that you find is that some lenders will require that borrowers either leave a key to their car or install a GPS tracker or a remote immobilizer in your car. This makes it easier for your lenders to find and repossess your car in the event that you default on your loan. If you have decided that taking out a car title loan is right for you, there are some things you’re going to want to consider. If you are interested in taking out a local car title loan, you’re first going to have to find out whether or not the state that you live in even allows them. Due to their short payment terms, lump sum repayments, and high annual percentage rates, title lenders are only legal in 25 states across the country. This is certainly something you consider before you opt to take out a car title loan. First off, you’re going to have to find if you can even access a local title loan. Also find out if your lender allows you to apply for a title loan with no job. A vehicle loan can be fairly straightforward. While the interest rates are high, there should be very few hidden fees, if any at all. If you find that there are hidden fees in a local car title loan that you are considering, it may be best to look elsewhere. Similarly, as you would with any other type of loan, make sure to shop around and compare the interest rates offered by other local lenders. While all interest rates connected to car title loans will run a bit high, they do vary lender to lender. The higher the interest rate, the more money you will pay overall. Because car title loans are easy to obtain, it is definitely worth it to take the time to find the best interest rate available to you to save you money in the long term. A loan’s annual percentage rate, or APR, is basically a way to measure how much a borrower can expect to spend on a loan in interest and other fees if the loan were to remain outstanding for a full year. What a 300% APR means is that if you are unable to pay off your loan, within a year you can expect to owe 3 times what you originally borrowed in fees and interest. Technically, local car title loans are typically meant to last for a very short time – usually a few months. Within that month-long repayment term, interest rates are typically around 25 percent. Where people get into trouble is when they cannot afford to pay back their loan within the agreed upon payment term. That leads to the loan rolling over to the following month with another 25 percent interest tacked on to whatever is left. Before long, you’ll owe a boatload in interest and will be well on your way to that 300% APR nightmare becoming a reality. This can lead to a dangerous cycle of compounding debt that will leave you in an even tougher financial predicament than you were when you initially took out your loan. You may think that the amount of money you can qualify for will vary from one local car tile loan institution to another, but typically the amount of money you can qualify for will remain fairly consistent across the market. That’s because the amount you can borrow is directly dependent on the value of your car. 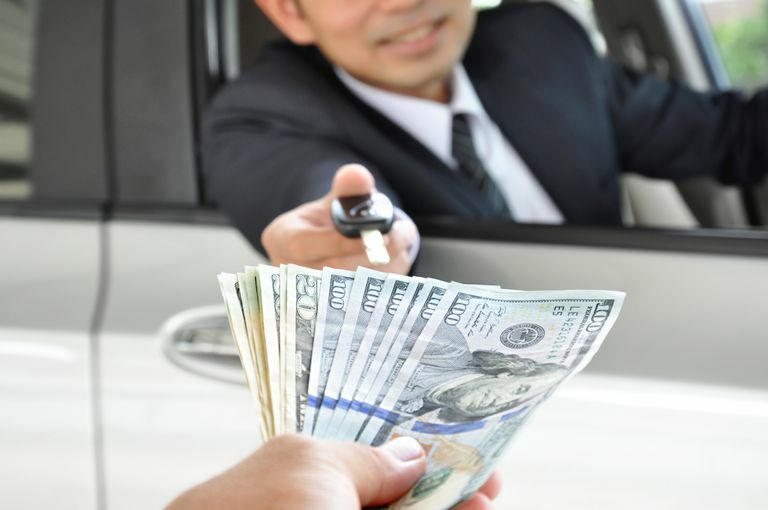 In fact, lenders can consider the car’s value that can be used as the collateral as well as provide the funds that typically vary between thirty percent to fifty percent of the total value of your car. That’s because if you default on your loan, and your lender decides to sell your car to recoup the cost, they are going to take the easy sale, not the sale that gets them the most money. That usually means selling far under value. When you’re choosing which local title lender you would most like to work with, definitely try to focus on companies that have been in business for a few years rather than a few months. Some lenders have been in business for over a decade. If possible, it is better to go with a company with years of experience, trust, and reputation. Beyond that, it is best to see if a potential local car title loan institution offers testimonials from pervious customers. You should take the time to read through several of these to get an idea of what you can expect from a loan. Lenders that do not offer any customer testimonials should raise a certain amount of suspicions. Smart and reputable lenders will publish tons of testimonials, because they know that the proof is in the pudding. Having your vehicle repossessed is a scary thought for anyone. Most Americans need their cars to get to work, school, and everywhere in between. If you’re late on your payments, you could risk getting your car repossessed. This is true whether you are late on your car loan payments, your lease payments, or if you have taken out a loan based on the value of your vehicle, such as a car title loan. Essentially, when you finance or lease a vehicle, your creditor or leaser have ownership[ rights that end once you’ve paid off your loan or lease. These rights are established by the contract you sign and are upheld by the state in which you sign it. Similarly, when you take out a car title loan, you are allowing a lending company to place a lien on the car’s title. That makes them a legal owner until you pay off your loan and they remove the lien on your vehicle. The most important things to remember is that if you don’t make timely payments on your vehicle or a loan attached to your vehicle, your creditor or lender may have the right to repossess your car without warning and without going to court. So, what are the laws that you should know when it comes to vehicle repo? Continue reading to find out. Once you are in default with a lease or loan, most state laws allow the creditor to reclaim your car at any time without notice. They are also allowed to come onto your private property to do so. It is important to remember, however, that in most states, creditors cannot employ a “breach of peace” to repossess the vehicle. That means using physical force, threatening force, or, in some states, even taking the car from a gate or closed garage without your permission. In the event that there is a breach of peace, it is crucial to know your rights within the state that you live. Your creditor may be required by law to pay a penalty or compensate you if any harm is done to your or your private property. A breach of peace may also give you a legal defense against your creditor if they sue you to collect any difference between what you owe and what the creditor gets in a resale of the vehicle. It is important to remember that even if your car is repossessed, any and all private property that is within your car at the time of repossession will remain your property. Your creditor or lender is not allowed to keep or sell any private property that they may find in your car at the time of repossession. Your creditor is also required to use reasonable care to prevent anyone else from removing the private property in your car while it is being stored. If your creditor is unable to account for the private property that was in your car, you should speak to an attorney about your right to compensation for that property. What Happens When Your Vehicle Gets Seized? In many states in the U.S., your creditor or lender is legally allowed to seize your car as soon as you default on your loan or lease. Your contract will dictate what technically constitutes a default, but it is safe to assume that a failure to make an on-time payment will get you in trouble. When it comes to title loans specifically, it is important to know the laws related to title loans in your state specifically. They can vary fairly dramatically. In the unfortunate even that your vehicle actually is repossessed by the lender or creditor, they can then decide to either keep the vehicle as compensation for your debt or sell it in a public or private sale to make up the money back that they lost. In some states, your creditor or lender is required to let you know what will happen to your car. If the car is being sold in a public option, your creditor may have to tell you where and when that auction is taking place so that you can participate in the bidding. You can also find out the date and time of the sale if it is a private one. This information gives you the ability to buy back your car. Once your car goes on sale, you will have the opportunity to redeem, or buy back, your car. You can do this by paying the full amount you owe. A word of warning, this likely includes any fees from past-due payments as well as any of your remaining debt. You will also have to pay any existing expenses related to the repossessing of your vehicle including storage, legal fees, preparation for sale, and more. In some states, you will be protected by consumer protection laws that will allow you to “reinstate” your loan. That means that you can get your car back if you are able to pay the money you owe and pay for any of the expenses that your creditor incurred while repossessing your car. Once you get your car back, you have to be sure that you are able to complete your payments on time. Otherwise, you will likely face yet another repossession. While any resale of your care must be carried out in a commercially reasonable manner, there may still very likely be a deficiency between what the car was resold for and what you owed. In that event, you will still have to pay your creditor a loaner the deficiency. For example, if you owed $15,000 and your creditor was only able to resell the car for $10,000, you would be responsible for paying back the remaining $5,000 plus any other fees you owe under the previous contract. Adversely, your creditor must pay you if there are any surplus funds from the sale, though that is far less common. It is important to keep in mind that you may have a legal defense in a deficiency judgment if your creditor breach the peace while seizing the vehicle, failed to sell the car in a commercially reasonable manner, or waited too long before suing you. It is always wise to weigh your legal options before paying any deficiency fees. As a rule, it is always easier to try and prevent a potential repossession than argue your vehicle repossession after the fact. Get in touch with your creditor once you realize you will be late with a payment. If they believe that you will be able to pay soon, they will likely give you some leeway. Your creditor still has the right to refuse late payments, and they may demand that you return the car in place of a late payment. It can be quite simple to acquire a car title loan in Utah as long as you own a car. The Title Lending Registration Actgoverns auto title loans in Utah and sets guidelines that all licensed lenders in the state are required to follow. Utah is one of the least regulated states for car title loans and is doing very well economically. The state does not impose any cap on the maximum loan amount or the interest rate charged. This actually works in the favor of the borrower, since title loan companies have to compete against each other for the lowest rate on offer. However, you need to make sure that you do your homework and shop around for the best loan terms and conditions. Typically, the interest rate charged in Utah on car title loans is 25% monthly. However, this amount can exceed if you own the car jointly or if there are remaining standard loan installments on the car. The Virginia state government places restrictions on title loans in the state since the federal government is not known to actively participate. Title 6.2 of the code of Virginia governs title loans in the state. This code ensures the rights and responsibilities of borrowers in Virginia. There are strict rules in this state where title loan interest rates are concerned. The amount of loan decides the maximum interest rates for title loans. Title loans that are $700 or less cannot be charged with an interest rate higher than 22%. For title loans between $701 and $1,400, the maximum interest rate is 18% per month. Lenders cannot charge more than 18% if offering car title loans, regardless of the risk associated. The maximum rate of interest on title loans that are $1,401 or more is 15% per month. Virginia protects its borrowers from high interests on title loans. There are many states where the interest rates are between 26% and 33%. Montana is among the few states that is pro-borrower where title loans are concerned. The interest rates are capped at 36% per annum as compared to monthly double digit rates in other states. This is just 3% interest rate per month on a loan which does not take your credit score into account. In fact, almost all car title loan lenders in Montana offer these loans to people with bad credit scores. The State of Montana has capped the fees for defaults and deferrals as well. It cannot be higher than 5% of the principal amount or $15 (whichever is greater). However, because the typical interest rates are low, there are restrictions on the total amount you can borrow as well. This is to protect the average borrower from falling too deep into debt. There is no restriction placed on car title loans in terms of interest charged in Idaho. A lender can charge any interest rate on the loan amount based on your risk calculation. However, typically the rate of interest on auto title loans in Idaho is between 30% and 45% monthly and Idaho is a high quality of life state. This translates to an APR between 391% and 585%. It is your responsibility to find the most reasonable rates of interest and other charges. This is one of the least restricted states where car title loans are concerned. There is no set cap on the maximum amount you may borrow. However, the loan amount will be at the lender’s discretion based on the value of your vehicle and the equity you hold in it. You can get a lower interest rate loan by showing viable source of income and by convincing the lender that you are a low risk borrower. Lenders offer lucrative interest rates when you borrow a lesser amount on a high valued car because it lowers their risk. There are two laws that regulate car title loans: Chapter 537 and Chapter 516 under the Florida Title Loan Act. The Florida government has set maximum legal limits on the interest rate charged by a lender. A licensed lender offering title loans in Florida cannot charge more than 30% per annum as simple interest. This amount is reduced to 24% of the principal if the car is valued over $2,000 and 18% if the car is worth more than $3,000 and remember Florida is a no state income tax state which is one reason why their economy is doing well. However, this is just the maximum interest rate as prescribed by the government. It is possible that you may qualify for a lower interest title loan in Florida if you are a low risk borrower. For instance, if you have a viable source of income and a strong financial background, or if your car is worth much more than your loan amount. Florida does have some of the fastest title loan approval times in the US, most loans can be arranged in under 24 hours. Delaware is among the many states that have placed restrictions on various aspects of car title loans. Primarily, caps on interest rates protect customers from financial ruin and getting stuck in a revolving debt trap. While lenders can charge whatever they want in terms of interest rates in Delaware, the state has a number of regulations in place to ease the borrower’s burden of deep indebtedness. The typical interest rate in this state is 25 percent a month, which equals to 300 percent APR, or annual percentage rate. However, if the fees and interest paid exceed the unpaid proceeds of the loan, the lender will have to refund that to the borrower provided the lender failed to make appropriate disclosures. These loans are designed for short term uses such as for emergency loans with no job. An important thing to make note of in Delaware title loans is that the lender is allowed to keep charging interest rates on the balance loan amount, even after they take possession of your car and sell it to recover damages, in the event of non-payment. Only licensed lenders are authorized to offer car title loans in Illinois. Where interest rate is concerned, Illinois regulations require all lenders to calculate it on simple interest basis and not compound interest. This means that you cannot be charged interest rate on any outstanding interest balance or interest fees that has not been paid. There are no caps placed by the government on interest rates in the state of Illinois for title loans. This means that lenders set their own rates that can vary as per the lender you choose. It’s vital that you choose wisely after asking for quotations from multiple lenders. You must also carefully consider all the terms of a loan before agreeing to that loan. On an average interest rate charged by most lenders on title loans is not more than 25% in Illinois. However, it may be more if you are a high risk borrower. Maryland does not allow title loans. However, residents of Maryland can always head over to Virginia to acquire a car title loan with an out-of-state title. All rules and regulations pertaining to Virginia title loans shall apply since the actual loan contract cannot be signed on Maryland soil. In fact, Maryland government prohibits any advertisements or loan solicitations directed towards the residents of the state. In Virginia, the typical interest rate charged is based on the amount of loan borrowed. It is 22% for loans lower than $700, 18% for loans between $701 and $1,400, and 15% for higher amount loans. If you are a resident of Maryland and looking for a car title loan, then Virginia may be the nearest and best option. However, there are other states as well that offer these loans which may have even lower interest rates. Car title loans have a bad rep for being high interest loans. The high interest rate helps cover the risk associated with these loans. Arizona State is one of the more borrower-friendly states to get a title loan due to the Arizona title loan laws. Through Arizona Revised Statutes Title 44 – Trade and Commerce 44-291, the state puts caps on the title loan interest rates. Arizona uses a sliding interest rate table and is where there are very good prices for homes. So this is where the maximum monthly interest rate depends on the amount of the loan provided by the title loan company, with less expensive loans having higher maximum interest rates. The maximum monthly interest rate that a title loan company can charge is 17% if the car title loan is $500 dollars or less. The interest is reduced to 15% when the loan amount increases to an amount between $501 and $2,500. The maximum monthly interest rate is 13% when the loan amount is between $2,501 and $5,000. The lowest monthly interest rate is 10% when the loan amount is $5,001 or more. The interest rate caps as set by Arizona are some of the lowest in the nation. As per California Car Title Loan Laws and Regulations a licensed lender of title loans cannot charge more than the prescribed limit by the state government. It is important to note that the minimum loan amount in California is $2,500 for title loans. If the loan is at exactly $2,500, title loan laws in California allow a lender to charge either $50 or up to 5 percent of that amount (whichever is lower). The interest is capped at $75 for loan amount between $2,501 and $4,999. There is no capped interest rate for any amount higher than $4,999. Car title loans can be a fantastic way for you to get yourself out of some short-term financial trouble. But it can also lead to future trouble if you fail to pay back your loan in time. That’s because, in order to be approved for any car title loan, you’re going to have to put up your car’s title as collateral. That means that if you fail to pay back your loan, you will likely have to say goodbye to your beloved automobile. That’s because your lender will have the option to repossess your vehicle to recoup their losses. It’s quite the price to be willing to pay. 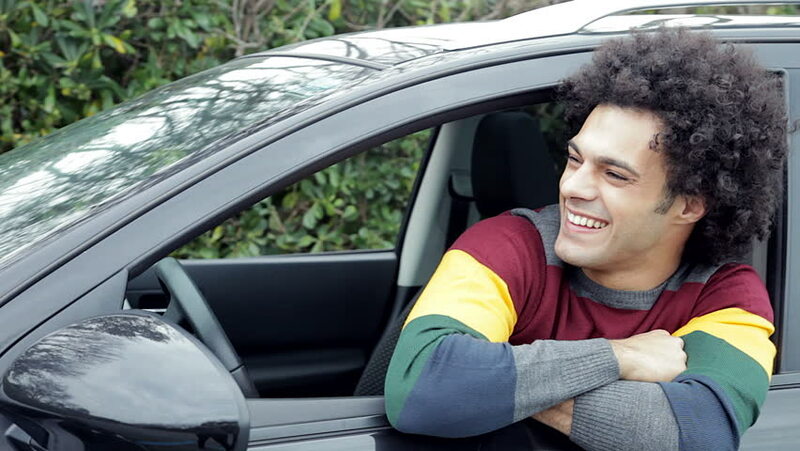 Still though, if you’re considering taking out a car title loan, it’s important to know what you can expect to get, and what you can expect to pay in return. The basics of a car title loan are really quite simple. In order to lake out a loan against your car, you need to have equity in your car. For many lenders, they’ll only consider lending to you if you have already paid off your entire car and own it outright. Once ownership has been established, the lending company that you are interested in working with will decide how much they are willing to lend you depending on the value of your car. Car title loans typically range between $100 and $5,500. In some states there are required minimums for title loans to be worth. In all states there are required maximums which typically land somewhere between $15,000 and $50,000. It is true that the amount you can borrow is based on the equity that you have in your car and the value of that car, but do not expect to get a loan that is equal to the total market value of the car. Lenders want to make absolutely sure that they’ll be getting their money back one way or another, so they will lend you only what they can get quickly and easily in exchange for your car in the event that you fail to pay back your loan. Most lenders will offer you a loan equal to between 25 percent and 70 percent of your car’s actual value. As long as we’re on the topic of your lender wanting to ensure that they can easily get their money back in the event that you fail to repay the loan, it is important to know that some lenders will require you to install a GPS tracking device on your car so that they can easily locate it in the event of a repossession. This should be a sign of just how serious car title lenders are when it comes to making sure they are either to recoup the money they loan out. Before you take out your car title loan, it is very important that you know how long the payment terms of title loans are. Typically, they’re quite short. After you take out your loan, you will be expected to pay back the loan in full, plus interest and any possible fees, typically within 15 to 30 days. While some car title loan repayments can include multiple payments in one term that spans over a number of months, most title loans include what is called a balloon payment. A balloon payment is a lump-sum payment at the end of your payment period that includes the loan payback and any interest and fees you incurred. Basically it’s an all-in-one repayment to close out your loan. In some cases, you will have the option to roll over the loan to the next month if you can’t pay it back. That will certainly come with added fees, however, and you have to know what kind of fees to expect before you decide to roll over your loan. Not only will you have to accrue added interest fees, but you could also face late fees and other hidden fess as well. It is important for you to know exactly what your interest fee is. The average interest rate on car title loans is approximately 25 percent. That might not sound too bad, but if you roll over your loan, and 25 percent interest is applied to each roll over, your small loan can turn into a huge financial burden. If you were to carry the loan for a full year, the APR or annual percentage rate, would be 300 percent of your original loan. That’s a serious hole to find yourself in, and it’s even harder to dig yourself out of that hole if you lose your car as a result of not being able to pay back your loan. In the end, it is quite likely that you will be paying back a significantly larger amount than the original loan was. Paying back your loan plus interest is one thing, losing your car is something else entirely. That’s what you have to be prepared to risk if you take out a car title loan. In the event that you are unable to pay back your loan, or keep up with your payments, your lender can repossess your car and sell it to make up for the money they have lost by lending you money you can’t repay. If your car is repossessed, your financial situation could quickly go from bad to worse. Without a car, you might have a harder time getting to work or finding work. You could even have a harder time doing simple things like going grocery shopping, taking your kids to school, and more. Before you take out a car title loan, it is imperative that you take a look at your daily life and decide whether or not you are willing to put your car on the line. Don’t treat a car title loan like a way out of financial trouble for good, that’s not what there here for. What you should instead consider it as is a necessary stopgap. When you’re really in need of fast cash, a car title loan can be a great help, but make sure that you have consistent money coming in aside from that so that you can pay it off in time. If you’ve ever taken out a car title loan, you know how easy they are to get. You may also know how hard they are to get out of. In the end, title loans can be quite expensive because they typically end up taking quite a bit longer to get out of than you originally suspect. Because they take longer, you risk accruing more and more interest fees and added fees and months go on. They can also be quite the bother because you can, as the name suggest, lose your car in the process. So, how can you get out of a title loan? You’ve got a few options for relief. This may not be much of a surprise to you, but we figure we should probably mention it anyways. The easier way to get out of your title loan is to pay it off. That is, however, easier said than done. If you had had the money in the first place, you probably wouldn’t have taken out the loan to begin with, and even if you are able to pay it off slowly, the interest loans can make it quite hard to make an impact overtime. If you do come into the money needed to pay it off, contact your lender immediately. Don’t be surprised if they’re not as enthusiastic about closing your loan as you are, though. Some lenders have been known to drag their feet to try and milk more money out of their customers who are already on the hook. If you simply do not have the money to pay off your loan, you can always sell the car you used as collateral to generate some cash. You will likely find that selling it is difficult because you do not have a clean title, but it can be done and it happens quite often. You can downgrade to a less expensive car, pay off your loan, and free up your cash flow. This can be a great option if you are able to find someone willing to take your car off your hands. This is another way to get your title lender off your conscience and while it seems counter-intuitive, it actually makes a tone of sense. Refinancing a loan basically means replacing it with another loan, or taking out a different loan to pay off the original loan. The way this works is when you are able to find a loan with a lower, fixed interest rate. You’ll still owe the same amount of money you owed on your title loan, possibly more, but it will not balloon and grow the way that your title loan was doing on account of its high interest rates. Target a fixed-rate loan from a bank, credit union, or online lender first. You can also use a convenience check from your credit card if you are positive you’ll be able to pay it off in time before the promotional period ends. If you find yourself running into roadblocks by seeking out title loans from those types of establishments, consider visiting small local banks and credit unions. You may have a better chance of getting approved at places like that. As a final resort, consider seeking out a peer-to-peer loan, or even asking someone you know to co-sign on a loan with you to help you get approved. Just make sure that they know what they are financially and legally responsible for when they agree to be your co-signer. Your existing lender may be willing to work with you if you know the right way to negotiate. Offer to pay what you can and see if the lender accepts that. This can be an especially solid option if your finances are quickly starting to spin out of control. If your lender sees that they have an opportunity to recoup anything from you, they might jump at the opportunity to do so. True Financial is available 24 hours a day for title loan to refinance a car title loan in California or apply for a new loan. Even if your financial situation is quite that bleak, you may be able to talk you lender down to a lower interest rate or other adjustments to your payments in order the lighten the load. It could be a win-win for both parties, so it’s smart do advertise is at such. If your lender does agree to take less than you owe, your credit will suffer, but a lower credit score is certainly a better option than financial ruin. Another option is to simply stop paying your loan. This is obviously not the best option because it will seriously damage your credit and your lender will eventually repossess your car. You may also still owe money on the loan if your car is not sold for more than the amount you owe. Still, you can take solace in knowing that you’ll be done with monthly payments, and that may be enough to help you get yourself set on a better financial path. A small tip to keep in mind if you are considering defaulting on your loan is that voluntarily surrendering your vehicle can improve the situation and your credit score might not dip quite as much. Perhaps the best way to avoid getting into the potential sticky situations that come with title loans is to avoid them altogether. Instead, try to build yourself an emergency savings fund of three to six months’ worth of expenses and improve your credit so that you have more options the next time a financial hardship rears its ugly head. If you are a resident of Stockton, California and are starting to struggle to keep up with your monthly expenses, you may want to considering taking out a car title loan. At Stockton Title Loans, we can help you apply for anywhere between $2,600 and $50,000 depending on the value of your vehicle and the equity you have in it. So, what are car title loans and how can you apply for one? The answers are quite simple. The main thing that you should keep in mind about car title loans in Stockton is how they work! To put it simply, a car title loan works when the lender evaluates the value of your car and then offers you a loan based on that value. Car title lenders will typically require you to also share proof of income, a government issued identification, and a permanent address. Some even ask for personal references. Once your car’s value has been determined, the lender will offer you a loan in exchange for holding onto your cars title and the title is only released when you repay the loan or refinance your title loan. In California, title loan lenders will hold onto your car’s title until the loan is repaid. One of the primary selling points of car title loans is that you can still operate your car while the lender has your title. But don’t let that lure you into a false sense of security. Some lenders even require you to leave a second pair of keys in order to finalize a loan. Others will ask you to install a GPS device on your car so that they can easily locate and repossess your car if you end up defaulting on your loan. Once all that it taken care of and you’ve got your cash in hand, go ahead and make the payments that you needed the money for. Don’t enjoy your loan for too long though. You’re going to have to start paying back your loan as soon as possible as to avoid missing a payment, defaulting on your loan, or accruing added interest or hidden fees. Car title loans are short-term loans (repayment periods can last as short as a few weeks) with incredibly high interest rates. In fact, the average annual percentage rate of car title loans is 300 percent. If you find yourself not being able to repay the loan within the specific repayment period, the lender will have the option to repossess your car in order to recoup their losses. Now that you’ve got a better idea of how car title loans actually work, you might be getting a better answer as to whether or not they are right for you. If you are in a momentary financial pinch – that you can confidently say will come to an end soon – this kind of loan could be helpful. You can get the money you need now, and safely pay it back within the repayment period. If you seem to be constantly struggling to make ends meet and are in and out of work, a car title loan not only an easy way to get into even more debt, it is also a quick way to lose your car, one of your greatest assets when it comes to actually securing steady work and achieving financial freedom. One of the crown jewels of Stockton is its blossoming musical and performing arts scene. Though many think of cities like Los Angeles and San Francisco as the cultural epicenters of California, Stockton boasts some of the best performers and venues in the state. The Stockton Symphony is the third oldest professional orchestra in California, founded back in 1926. Beyond that, the University of the Pacific, located in Stockton, is known for its music conservatory and for being home of the Brubeck Institute, named after legendary Jazz pianist and Pacific alumnus Dave Brubeck. On top of that, The Bob Hope Theater (formerly known as the Fox California Theater) is one of seven movie palaces in Central California. Built in 1930, Bob Hop himself used to visit Stockton regularly to spend time with close friend and fellow tycoon Alex Spanos. Spanos donated much of the money to revitalize the theater following Hope’s death and used it to honor his close friend’s name. You may feel confident in your ability to pay back your car title loan, but first let’s find out whether or not you could qualify. Because this is a secured loan based on the equity of your car, almost all car title lenders require that you own your car outright. If you do not own your car outright it will impact the equity you have in your car and will either make it impossible for you to secure or a title loan, or will make the value of your loan far lower than what it would be if you did own your car. If you are wondering whether or not your car can qualify for a car title loan, simply reach out to us at Stockton Title Loans and we will go over your vehicle’s value, the equity you have in it, and everything else you will need in order to qualify for a car title loan. Car title loans in Stockton can be a great help if you find yourself in financial trouble. It is important to approach them responsibly and with all the knowledge you need to succeed in taking out your loan and succeed in paying it back. Luckily for you, there is a large number of title lenders in Stockton, California who are willing and able to help you get the money you need when you need it.